Dan is a versatile Director/Producer with 20+ years of experience in global settings representing diverse entertainment arenas. He is skilled at producing complex projects and events by bringing multiple parties together reaching common goals. Key talent is in problem solving, effectively combining negotiating, budgeting, and project management abilities, as well as motivating team members to excel at delivering quality work. In 1997, Dan was named a Producer for Universal Studios in Osaka, Japan. 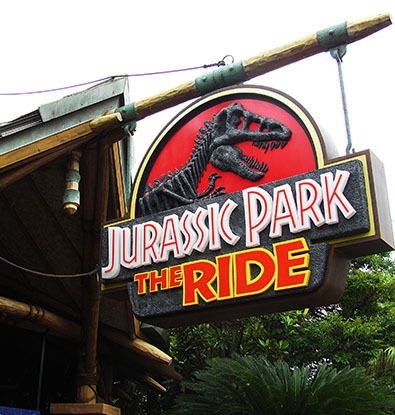 Dan was responsible for approximately ¼ of the theme park that included Jurassic Park, Jaws, WaterWorld, Animal Actors, Wild West Stunt Show, Beetlejuice Graveyard Revue, The Lagoon Show, and Snoopy Studios. His responsibilities increased by also overseeing all of the live entertainment. From 1994-1997, Dan was one of the founding Associate Producers at Walt Disney Theatrical Productions. Dan managed, organized, and coordinated the domestic tour of Disney’s Beauty and the Beast. Dan was also involved in the negotiations and renovation of the New Amsterdam Theatre in New York City and other venues in Chicago and London. As part of opening the New Amsterdam Theatre, Dan budgeted and coordinated readings and workshops of Elton John and Tim Rice’s Aida and Alan Menken and Tim Rice’s King David. From 1993-1994, Dan was the Associate Producer for the United States’ tour of Disney’s Symphonic Fantasy, which played outdoor venues and a two week engagement at the Metropolitan Opera House in New York City. Part of Dan’s responsibilities included obtaining and negotiating contracts with the promoter and financial backer, budgeting the show, logistics, and profitability margins. Dan first started with the Walt Disney Company as a Show Director and Project Manager. Dan’s many accomplishments include being Event Director for Christmas at Disneyland, writing and directing a press event that received worldwide press and television coverage, writing and directing Disney’s participation in the Adolphous Parade. Dan has also renovated, built and managed 8 different theatrical venues across the United States with seating capacities ranging from 300 to 20,000. Dan received both his Bachelor and master’s degrees from UCLA.